Real estate depreciation. What Investors Can Cheer About! OK, so it’s hard to come up with a cheer for depreciation. But it’s something that many real estate investors like to celebrate. 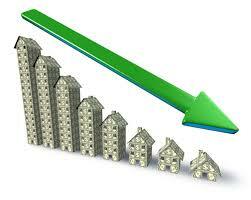 Real estate depreciation is a well know concept in the investing world. Although it’s a common concept; it’s that surprisingly that not everyone takes advantage of it. For some that is a strategic choice and for others it’s simply because they don’t understand or know about depreciation. Before I dive any deeper into this article, I want to start by saying that we here at Simple Acquisitions are neither accountants nor do we provide accounting or tax advice. This article is for educational purposes only. It’s to provide an overview of this concept and to show you how useful it can be to help build wealth. We always recommend you to consult your CPA or other professionals when making decision(s) about tax matters. For those who are unfamiliar with this deduction, in simple terms real estate depreciation is a gradual decrease in the basis of a property over time. Like with almost any asset, a property deteriorates as it ages. The Internal Revenue Service (IRS) permits you to deduct an asset’s cost over its projected useful life on an annual basis. This activity reduces the taxable income without reducing the cash on hand. Real estate depreciation is a non-cash expense. This means it increases free cash flow while decreasing reported earnings. Can you see why many investors apply this tax deduction? Depreciation is not isolated to only real estate. However, for the purposed of this article we will focus on real estate depreciation. With respect to an income producing property, you can also depreciate tangible items that lasts for more than one year. This includes items inside rental units such as stoves, refrigerators, furniture, and carpets. Equipment used to run your investment property can also be depreciated. Some examples are computers, cell phones, fax machines, etc. An important thing to note is that land is not depreciable; only the buildings and its contents. Hence when doing calculations the land value has to be extracted. To add another twist; although you cannot depreciate the land, you can depreciate the landscaping. If you’ve made improvements to a rental property you can continue to depreciate the cost of those improvements. Real estate depreciation is a non-cash deduction. Expenditures are not required to claim it. A building and its contents depreciate whether or not the property owner claims them. As per the Internal Revenue Service (IRS) you can depreciate a property if it meets all four requirements identified below. The property is used in your business or income-producing activity. The property has a determinable useful life. How much can be depreciated? The IRS also determines how long an asset can be depreciated. There are specific parameters and time frames established. I won’t go into those here. Depreciation is initiated when it is placed in service as an income producing property. It ends when the costs or other basis have been fully recovered or when it is retired it from service. When selling the property, you need to take the depreciated deductions into account when calculating the capital gains. Those capital gains however can be deferred via a 1031 exchange, but we’ll save that concept for another day. Stay tuned for an upcoming article where we’ll review another key element of depreciation; the cost segregation study. As you can see there are many factors that come into play with respect to depreciating an income producing property. Seek professional advice, and you might be able to take advantage of these deductions that can help shelter your income from taxes. This in turn leaves more money in your pocket. As a result you get closer to financial freedom. Simple Acquisitions is a real estate syndication company. If you participate in a syndicated opportunity, you as a private lender partner not only receive a return, but also share in the depreciation as well as and other benefits . To learn more about real estate depreciation or how investing can benefit you, drop us a line. We want to hear from you.